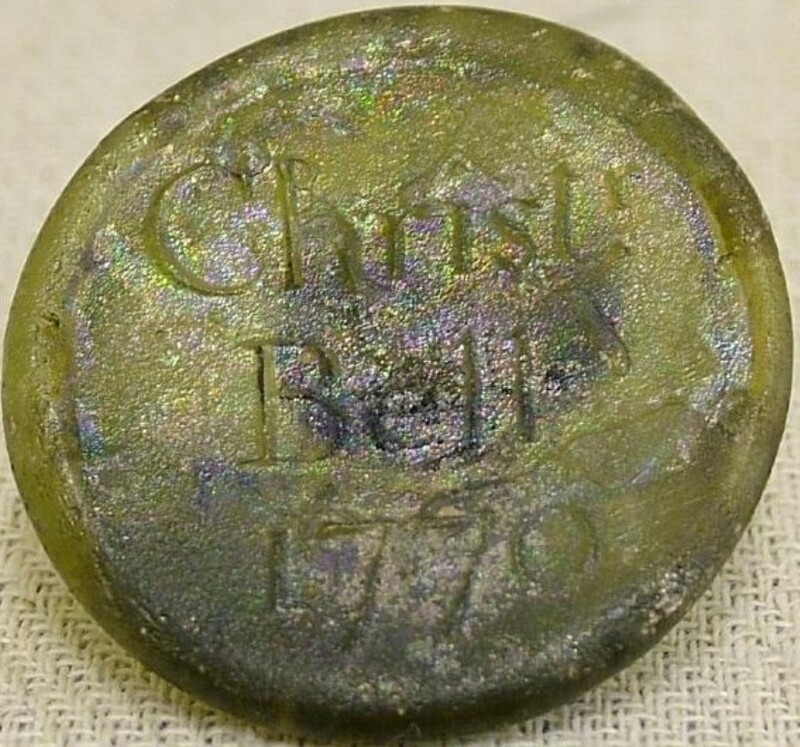 Glass Seal from a Wine Bottle Embossed "Christ Bell 1770"
Christopher Bell was a Land Surveyor from Snettisham. Born in 1730 and was married to Sarah Smith. 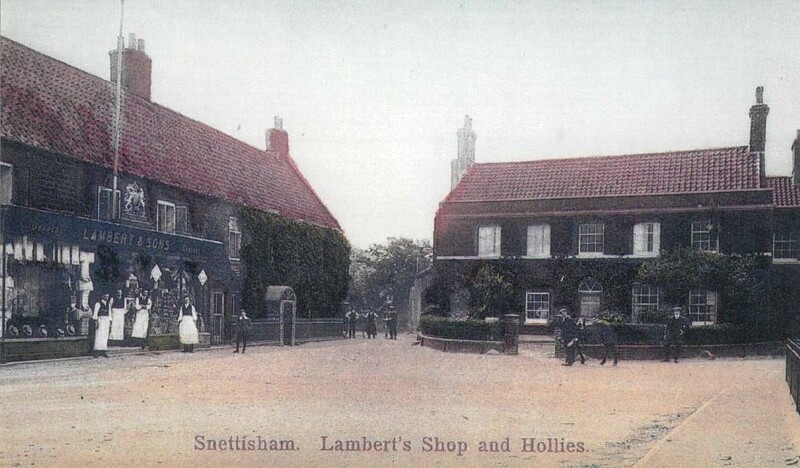 Christopher & Sarah Bell are mentioned in a deed of 1774 as being in the Black Swan at Snettisham. Advertising Plant Pot Printed "Presented By Geo. E. Corbyn Snettisham With Compliments Of The Season" Has Painted Flowers On Reverse Side. 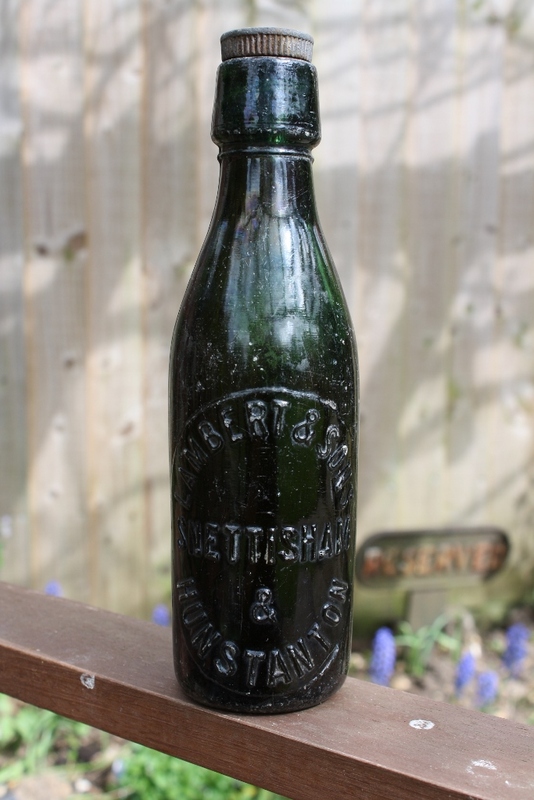 George E. Corbyn is listed from 1888 until 1900 as a Grocer, Draper, Outfitter and Wine Merchant. 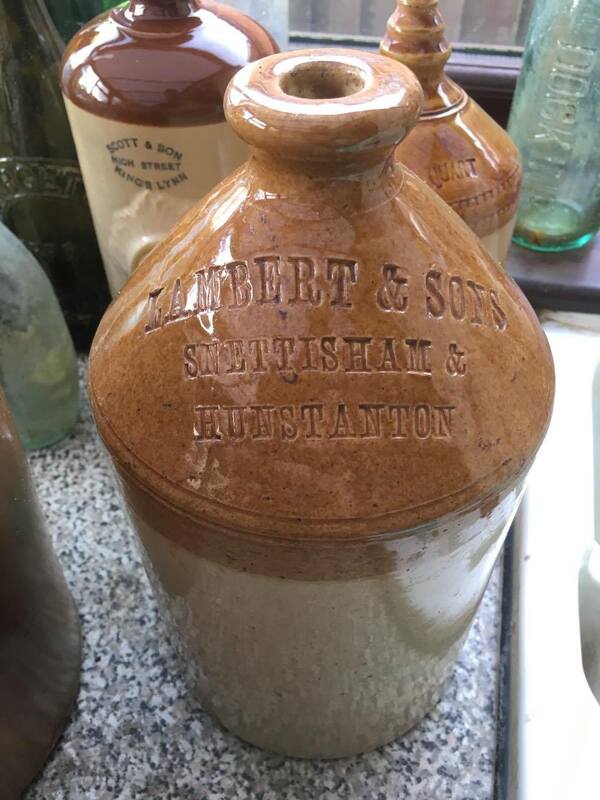 Two tone flagon impressed "C Gathergood "Rose & Crown" Snettisham"
Two Tone Flagon Impressed "J & J Lambert Liquor Merchants Snettisham" Two Tone Flagon Impressed "J Lambert Wine & Spirit Merchant Snettisham"
Two Tone Flagon Impressed ""Spirits" Lambert & Sons Snettisham & Hunstanton" Brown Flagon Impressed "Lambert & Sons Snettisham And Hunstanton "Vinegar""
Two Tone Flagon Impressed "Lambert & Sons Snettisham & Hunstanton Spirits" Two Tone Flagon Impressed "Lambert & Sons Snettisham & Hunstanton"
Two Tone Flagon Impressed "Lambert & Sons Snettisham & Hunstanton" Two Tone Flagon Impressed ""Vinegar" Lambert & Sons Snettisham & Hunstanton""
Two Tone Flagon Impressed "Lambert & Sons Snettisham & Hunstanton" Two Tone Flagon Impressed "Lambert & Sons Snettisham "Vinegar""
Pint Beer Bottles Left hand Embossed "Lambert & Sons Snettisham & Hunstanton" Right hand Embossed "Lambert & Sons Snettisham And Hunstanton" Left Hand Bottle Embossed "Imperial Half Pint Lambert & Sons Wine & Spirit Merchant Snettisham & Hunstanton" Right Hand Bottle Embossed "Imperial Half Pint Lambert & Sons Wine & Spirit Merchant Hunstanton"
Half Pint Machine Made Beer Bottle Embossed "Lambert & Sons Snettisham & Hunstanton" Pint And Half Pint Beers Embossed "Lambert & Sons Snettisham And Hunstanton"
Lamberts Shop At Snettisham 1 Pint Beer Embossed "Lambert & Sons Snettisham & Hunstanton"
From 1830 until 1850 John Lambert is listed as a Grocer and Draper, Ironmonger and Tallow Chandler at Snettisham. 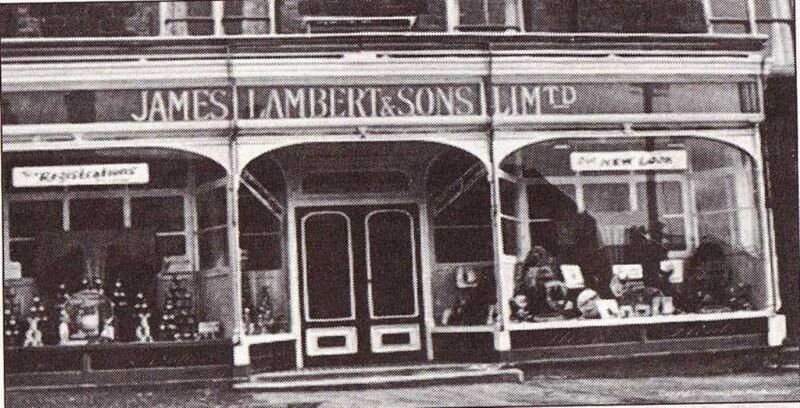 In 1854 John is joined by James Lambert and also become Spirit Merchants. 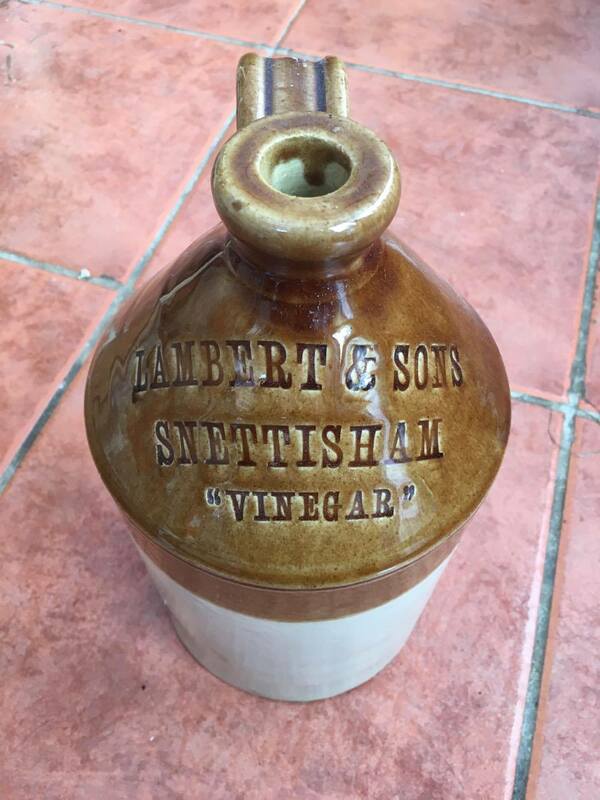 By 1875 John had left the business and James Lambert was in full control. 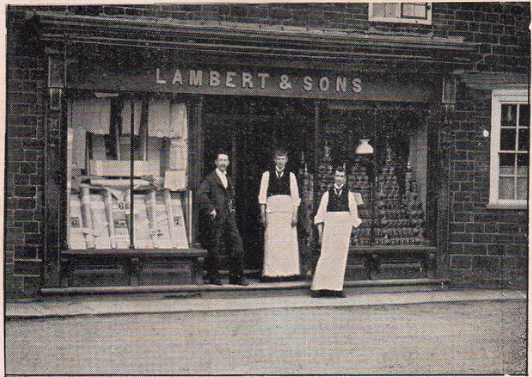 By 1888 James Lambert was joined by his sons. 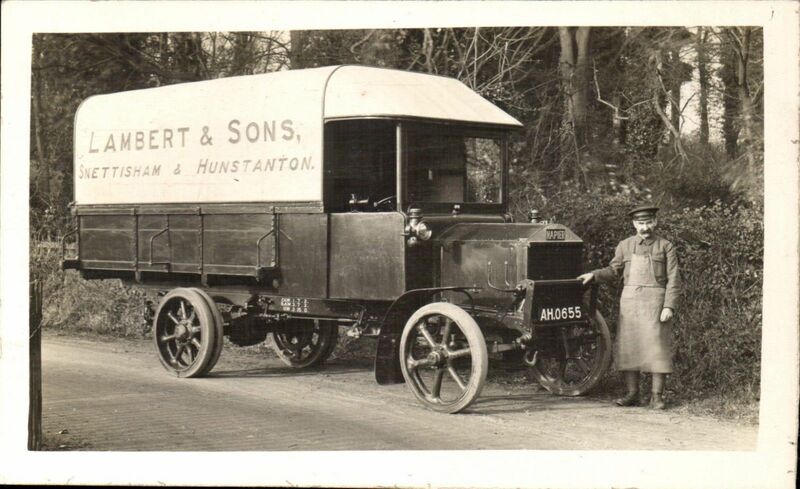 Lambert & Sons became a Limited company in 1929 and continued to trade beyond 1932.